Any in-patients at Crouch Vale Veterinary Practice are kept in the hospital on site and are monitored by the veterinary surgeon that stays in the practice as frequently as is deemed necessary. If any animal requires more advanced intensive care then the practice will find a service that can provide this. 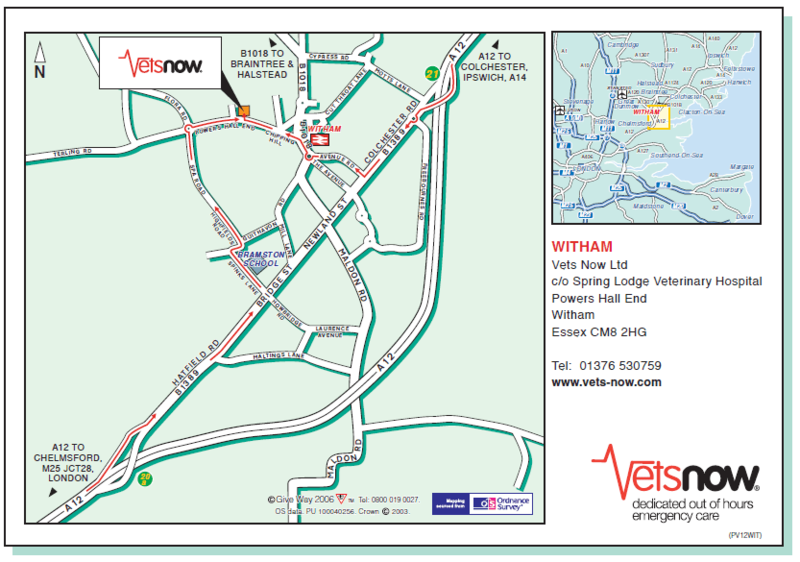 If your pet needs urgent, veterinary attention outside our normal opening hours, then our ‘Out of Hours’ support is covered by Vets Now of Witham.